Obviously, as the Taliban eradicated opium production in 2001, it didn’t suit the powers that be, and that was the real reason for the invasion of Afghanistan, to bring back production to at least the 1998 levels of 3000 tons to feed the growing addiction in USA specifically, which has now been achieved, and then some! Since when did anyone say anything about winning and presumably ending the war in Afghanistan ? It’s only about protecting and expanding the production of opium to feed the ever growing demand for the addiction explosion in the USA. But what about the heroine? 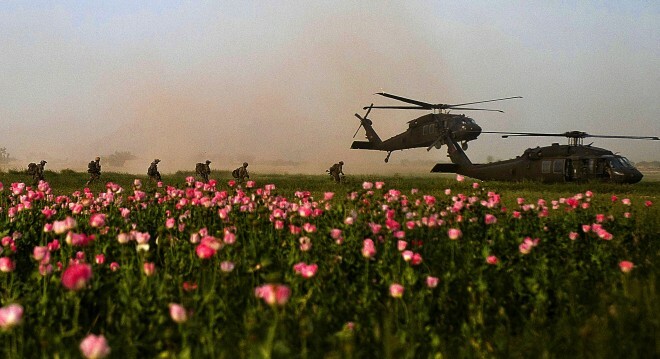 Last time the Taliban were in charge, the drug trade dried up.